Avnet, in collaboration with AT&T, has announced the availability of the AT&T IoT Starter Kit (LTE-M, STM32L4). 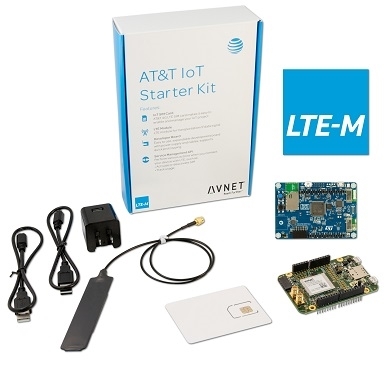 This LTE-M iteration of the AT&T IoT Starter Kit, with an IoT Discovery board from STMicroelectronics, reduces the complexity of LTE-M device development by bringing together all the elements required to develop and prototype highly secure, cost-effective and reliable IoT devices connected to AT&T’s 4G LTE-M network. Avnet demonstrated the new Kit at ST Technology Tour event in San Diego, as well as at upcoming Technology Tour stops across the U.S. through October 2018. The new two-board LTE-M solution is comprised of the STM32L475 IoT Discovery board and a cellular connectivity daughter card from Avnet, as well as a modem module from WNC, configured for LTE-M operation, and access to lower-cost licensing options for Arm Keil MDK microcontroller software development tools. Leveraging AT&T’s LTE-M network, this Starter Kit, with its extensive set of onboard sensors and wireless connectivity capabilities, offers an excellent resource for developers to prototype connected IoT devices for even the most hard-to-reach, challenging environments. The hardware and software enablement also addresses key areas such as security and low-power consumption to cost-effectively implement IoT device applications. In addition to a wide array of sensors on the IoT Discovery board, this new IoT Starter Kit also brings power-efficient LTE-M cellular connectivity along with enablement via user-friendly software tools. Together with Arm’s class-leading Keil IDE, this offering speeds up the development and prototyping of innovative connected IoT devices. The Avnet 4G LTE-M cellular modem board features an M14A2A modem module from WNC, configured for LTE-M operation, as well as an onboard temperature and humidity sensor, multiple interfaces with the host microcontroller, SMA-connected external antenna and USB-connected AC/DC 5V power supply. This board stacks onto the ST Discovery board via Arduino Shield connectors to form a compact two-board assembly. A 3FF micro SIM connector accommodates the provided AT&T Starter SIM for easy connection to the Internet. 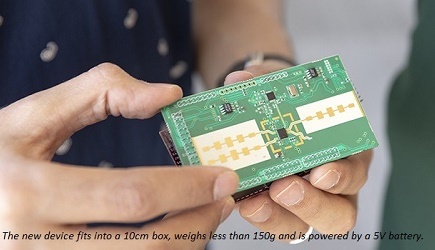 The IoT Discovery board is an “out-of-the-box” cloud-ready connectivity board for IoT nodes featuring the ultra-low-power Arm Cortex-M4 processor-based MCU (clocked at 80 MHz, with 1MB Flash memory, 128 KB RAM). The microcontroller-based carrier board functions as a low-power host processor that integrates onboard environmental sensors, motion, gesture and time-of-flight sensors, digital microphones, Bluetooth low-energy, a sub-GHz transceiver and Wi-Fi, as well as Pmod and Arduino Uno V3-compatible expansion connector interfaces. Designing with cloud-based services is facilitated via AT&T’s M2X Data Services and Flow Designer. In addition, a free 90-day license and reduced-cost, 6-month license are available for Arm Keil MDK software development tools, which enable rapid development and advanced debugging capabilities. Click here for more information on the full Avnet AT&T IoT Starter Kit portfolio, including AT&T IoT Starter Kit (Powered by AWS), AT&T IoT Starter Kit (LTE-M, K64), AT&T IoT Starter Kit (LTE-M, STM32L4) and AT&T IoT Starter Kit (2nd Generation).